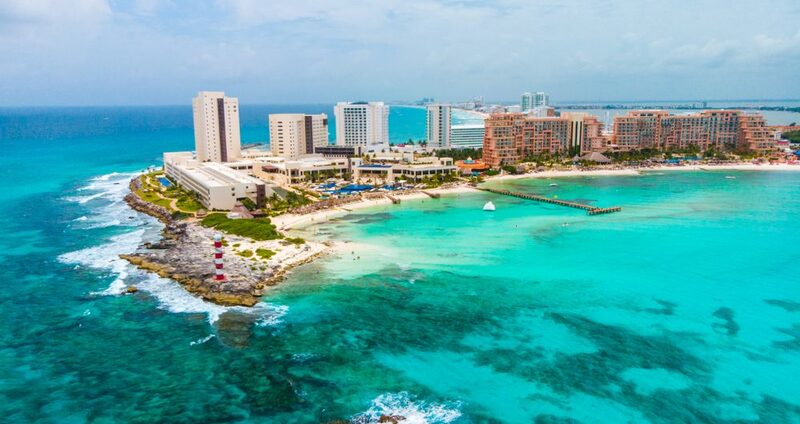 Traveling to Cancun for Christmas is not only a good idea to escape the cold weather. It’s also one of the favorite destinations for tourists worldwide. Aside from its natural beauty, the place also offers a vast variety of fun and exciting activities. There’s a range of things to do that can be enjoyed by kids and adults! 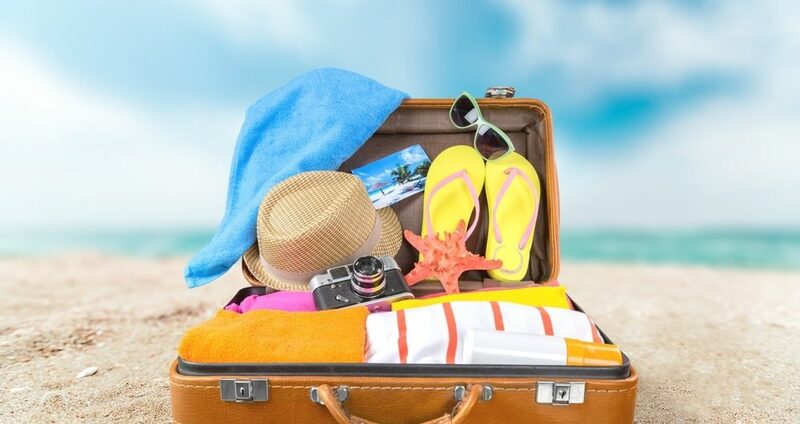 What would be a better gift than spending entire fun-packed days during a vacation to Cancun? 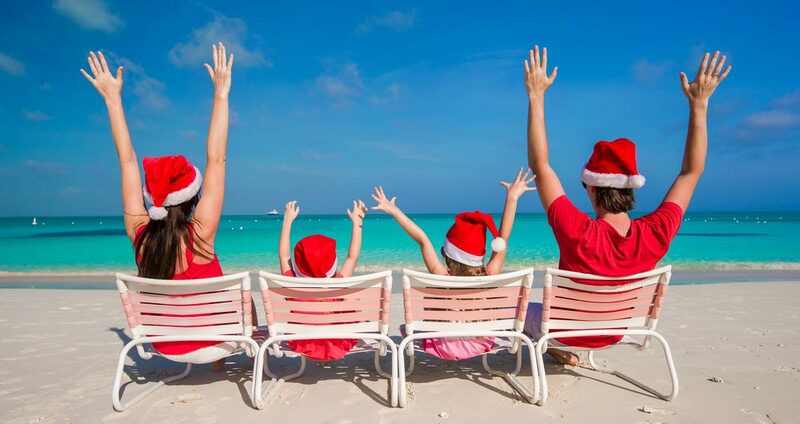 This Christmas celebrate in a fun and creative way next to your kids and experience the best of the Riviera Maya. Down below you’ll find 4 creative gifts for your kids during your Christmas vacations in Cancun: 1.- Go on a submarine adventure Going on a trip aboard the Subsee Explorer is a great way to feed your kids curiosity about the hidden wonders of the ocean. A great way to learn and achieve their dreams of becoming little explorers. 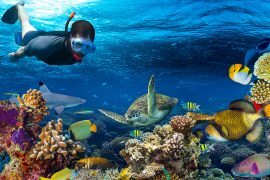 Venture on a unique experience underwater while you and your kids learn about sea life without getting wet! A professional staff will guide the excursion, making sure you have a great and fun experience. 2.- Venture into a floating inflatable circuit Take advantage of a paradise destination such as Cancun. 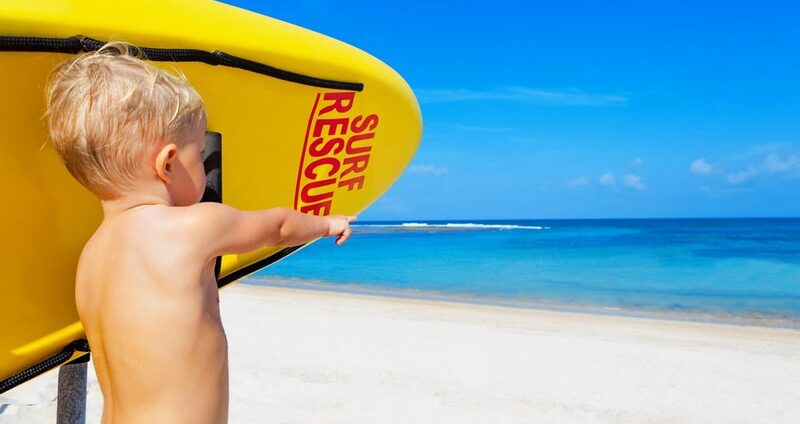 Turn your traditional visit to a beach into an action-packed activity! Aqua Bounce has created a dynamic circuit with fun inflatables for your kids, and for you! 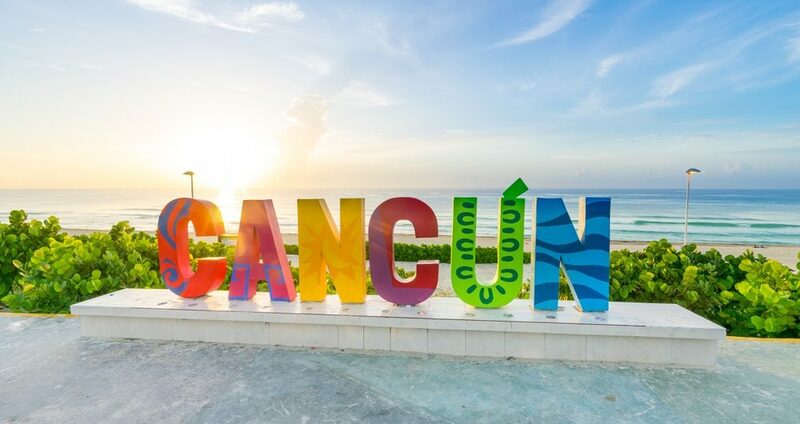 Enjoy a one-of-a-kind beach day in Cancun. This Christmas, you and your kids will be surrounded by water slides, trampolines and diverse obstacles that will put some of your coordination skills to the test. 3.- Visit an interactive aquarium Plaza la Isla has one of the most traditional and amazing attractions in Cancun. Specially designed for those kids interested in underwater species and the chance of interacting with them. 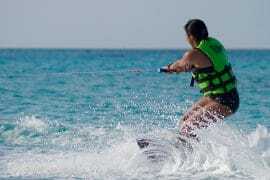 Is it safe to practice water sports in Cancun? Summer is just around the corner and we’d all rather be by the beach right now. If that’s the case, and you’re looking for things to do under the sun this summer, here’s what we believe is the ultimate activity. 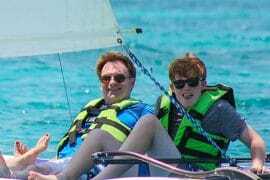 Yes, a private boat in Cancun, like we mentioned in the title. But, why? You ask. Well, going on a beach stroll, diving underwater, watching the amazing views of the coast, partying with friends, etc. These are all awesome things to do in the summer, but guess what… it can all be done in a boat. And it’s twice as fun!! Well, what if I don’t have a boat? Or, what if I’m only here on vacation and forgot to bring my boat with me? Don’t worry, there are many places to rent a private boat in Cancun. You’ll get a personal Captain who’ll take you to the most jaw-dropping beaches as you dive into the unreal colors of the ocean. Pro tips: Take a cooler with some tasty snacks and refreshing beverages and you’re up for an amazing experience. Wear sunscreen! These boats usually have a roof where you can rest from the sun, but you can never be too safe when it comes to sun rays. Better be safe than sorry. Take a resealable bag or a waterproof case for your phone. 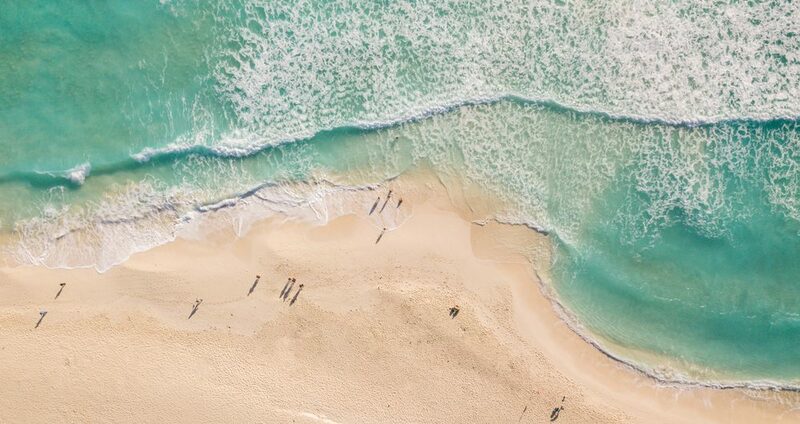 It’s amazing how easily some people drop their phones in very inconvenient places… like the ocean maybe. A boat day is always a good idea, and it doesn’t get any better than a boat day in Cancun! The most amazing views, revitalizing swims, and fun experience awaits you on board of a private boat in Cancun. The Jungle tour is one of the most famous water tours in Cancun. 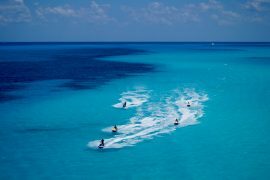 We have amazing routes and the best wave runners to offer you an unforgettable experience in your vacations at the Caribbean. 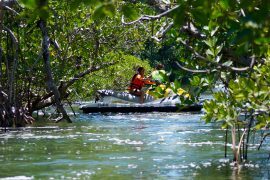 During this activity you will ride your wave runner from the hotel zone to the Nichupté Lagoon to explore the mangrove’s channel. This exotic ecosystem is the habitat of animals that you can watch just in this place. 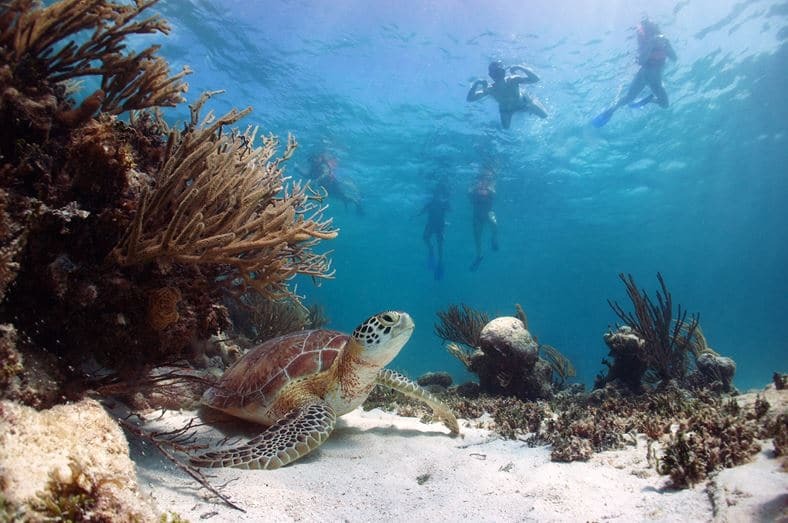 Don’t leave the opportunity to discover how amazing is Cancun with this 90 minutes jungle tour. In this adventure you will have a mix of adrenaline and exploration, with a chance of driving at full speed at the lagoon, and in a calmed ambientation throughout the mangrove. This is a nice combination for having a great day and creating memories, so you can have new stories for your friends and family when you get back to where you belong. One of the most fun things about the jungle tour experience, is the fact that you can share cool situations with your friends or your couple. Sometimes people say that the motional bond between you and your companions gains in strenght as you laugh and enjoy the ride, we have proved this when we see all the smiles of the people and listen the comments of how incredible it was. 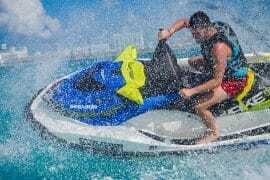 Discover the marvelous jungle of Cancun and live this awesome experience with Epic Water Toys. If you thing this tour is not enough, you can check our website and choose another one. We have many water tours in Cacun waiting for you.